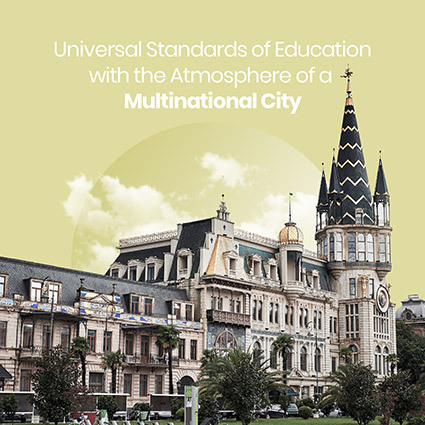 Batumi, a seaside town where the beaches arewelcoming, the food and wine delectable, and the culture ancient and vibrant,is the perfect place to study and explore life. The city lays on a gulf of theBlack Sea about 9.5 miles (15 km) north of the Turkish frontier. Batumishowcases flora from around the world: walk through a bamboo forest or restbeneath sequoia trees while gazing across the bright blue waters far below.